Note: Only one teacher and activity booklet is needed per classroom/teacher. However, each student should have a student book. 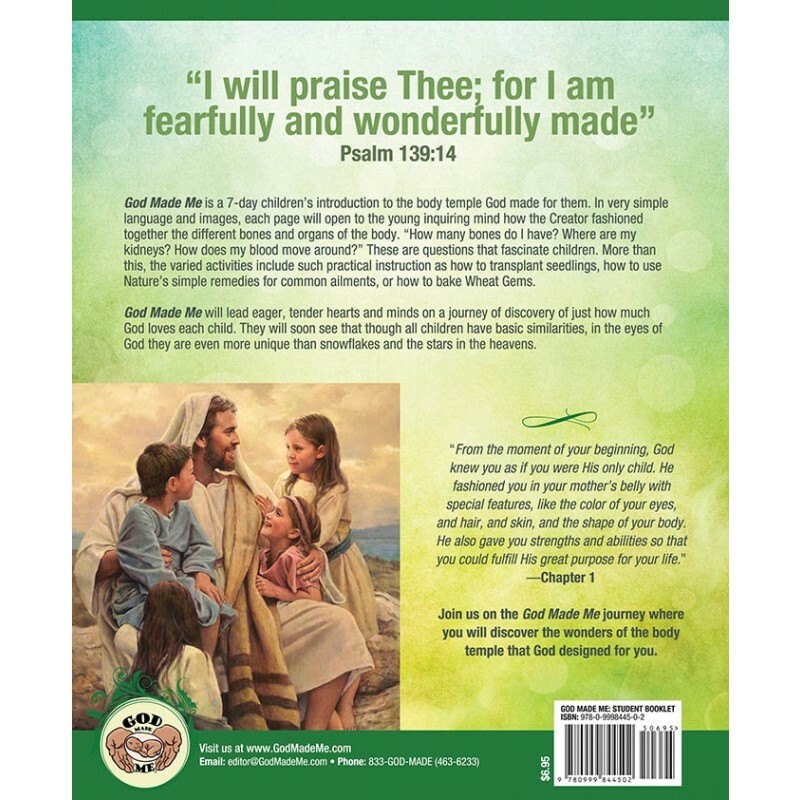 God Made Me is a 7-day children’s introduction to the body temple God made for them. In very simple language and images, each page will open to the young inquiring mind how the Creator fashioned together the different bones and organs of the body. “How many bones do I have? Where are my kidneys? How does my blood move around?” These are questions that fascinate children. More than this, the varied activities include such practical instruction such as how to transplant seedlings, how to use Nature’s simple remedies for common ailments, or how to bake Wheat Gems. God Made Me will lead eager, tender hearts and minds on a journey of discovery of just how much God loves each child. They will soon see that though all children have basic similarities, in the eyes of God they are even more unique than snowflakes and the stars in the heavens."